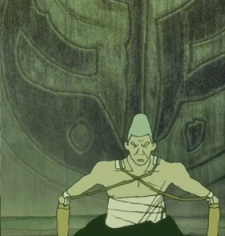 The leader of the Kifūken dojo. He is the father of Toshihiko and Kazuma. The latter he had with Harumi, a Shokujinki he sacrificed in order to save the school from a rogue student. He is ultimately killed by a Shokujinki who framed Yuka.